Jun 26, 2015 We’re sorry that you have had a bad experience trying our product. However, as you posted your comments anonymously, we are unable to review the details of your complaint, and to offer our help. We encourage you to contact our Customer Advocacy Group for assistance at 1-800-607-0419, CAGsupport@greathealthworks.com. 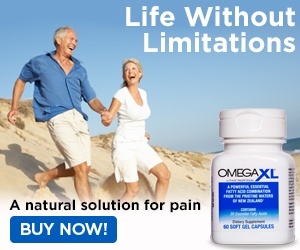 Omega XL has hundreds of thousands of satisfied customers who continue to purchase the product monthly. Thousands of them have given testimonials describing the results they have enjoyed from our product, and we maintain an A+ rating with the Better Business Bureau. Review #612112 is a subjective opinion of User612112.